The owner of Jackson's Catfish Corner hopes to reopen soon, but it doesn't look so good for three other spots. 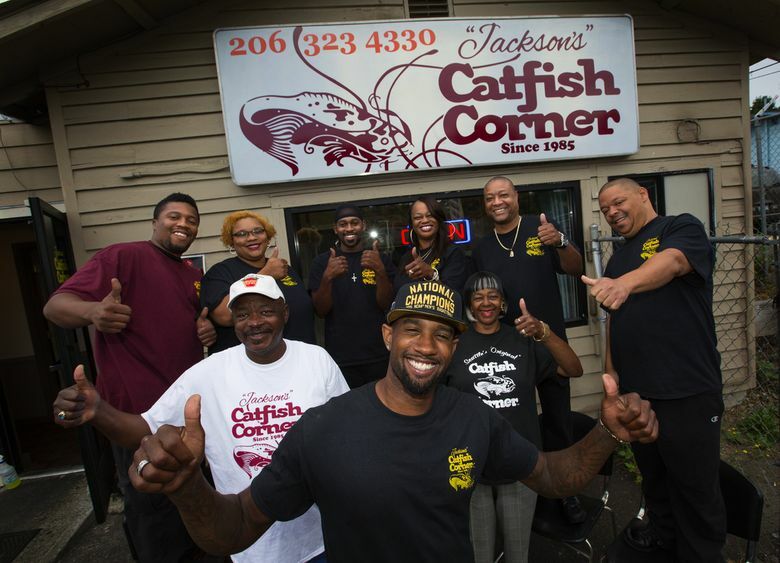 Jackson’s Catfish Corner shut down abruptly at the end of July, but owner Terrell Jackson says he hopes to reopen as soon as Monday. Jackson says he was out of town and “a miscommunication” with the owner of the building led to the sudden closure. Meanwhile, his mom, Evelyn Jackson, has started a GoFundMe campaign for money to use for the new lease and other expenses. Chop Shop on Capitol Hill has also suddenly closed. Owner Ericka Burke told Nosh Pit blog that the end of her year-old restaurant “was sad and abrupt.” Chop Shop had already been through chef change-ups, and Burke says the venture was “underfunded” and that business didn’t take off as she’d “hoped and prayed.” Burke also closed her Portage Bay cafe/shop Canal Market earlier this year; her Volunteer Park Cafe remains open. The Stumbling Goat on Phinney Ridge will say goodbye — after 16 years! — in just a few weeks, because (of course) the building’s been sold to a developer and will be torn down. Owner Angie Heyer says, “Regretfully… the Stumbling Goat Bistro will be closing its doors on Saturday, August 27, 2016. We want to thank the neighborhood and all our patrons for the years of loyal support… I hope to see all of you one last time so I can give you a hug goodbye.” The announcement’s been met with much mourning on Facebook. Meanwhile, chef Joshua Theilen says he’s unsure what’s next for him (he’s been called “the most underrated chef in Seattle” by the proprietor of Bestcatch). More than a decade ago, when chef Matt Dillon worked at The Stumbling Goat, the restaurant served as an after-hours laboratory for a group of future Seattle restaurant all-stars, including Renee Erickson, Jason Stratton and Joe Ritchie. The Spanish Table in Pike Place Market will close when the lease runs out at the end of August, after serving Seattle’s Spanish-comestible needs for the past 20 years. Head to the friendly, overstuffed shop now to stock up on paella supplies and Spanish wine. Otherwise, you’ll still be able to order from their website or, according to Nosh Pit blog, pick up a few essentials at sister shop Paris Grocery — at least until its lease runs out, date TBA. It’s a shame, as these two are among Seattle’s greatest specialty food shops.